Thank You for a Great Ride Philly! Thank you to the adults and kids who rode on Saturday it was a perfect day! Hope you can make it to our next ride on June 8th. Don’t let my backyard fool you the snow isn’t sticking on the streets and tomorrow is going to be 57! 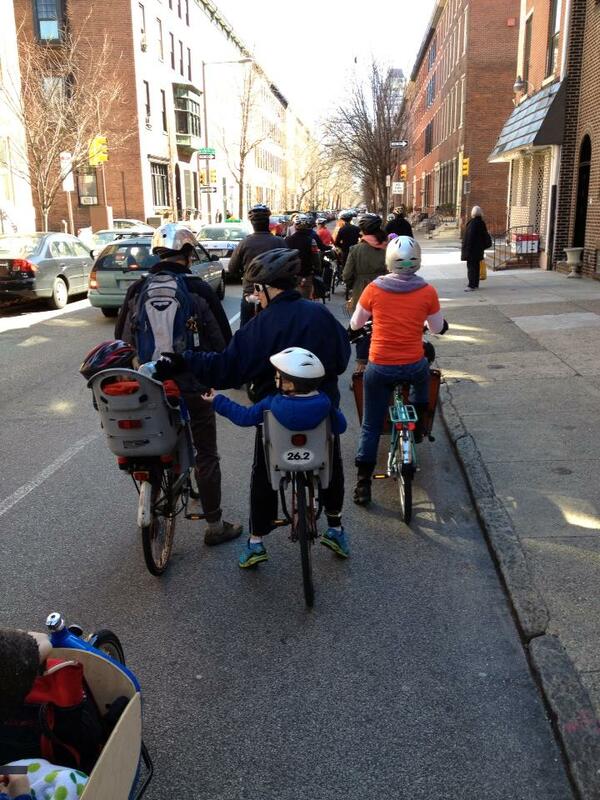 So tomorrow kidical mass will ride! Cannot wait to bike with you all.